Have I told you how awesome my brother is? Well, he is… amazing, really. I think I may have about an ounce of his creativity. This year for Christmas, he designed made my husband and I a homemade card. Inside was a gift certificate for dinner, a movie, and money for babysitting…score!! The card was so beautiful that I asked him if I could share it. 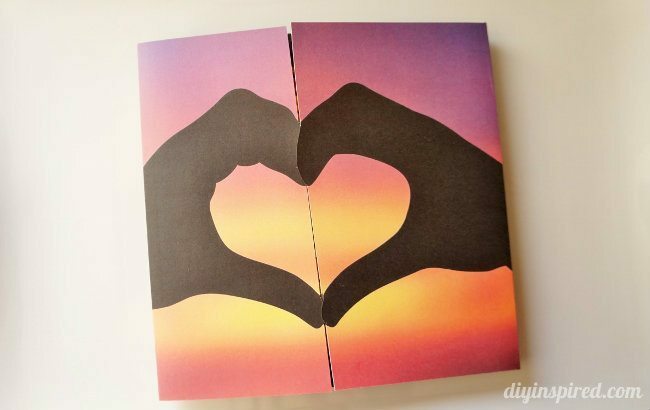 I thought it’d be a great idea for a date night Valentine card DIY for a special couple. My brother designed the card, but you can use any decorative paper you choose, or design the front yourself. This could be used for any type of occasion like an anniversary or special event like a wedding. 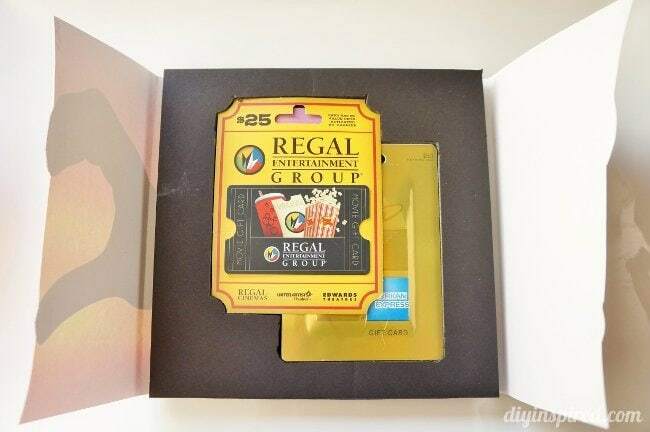 Take one piece of foam core and position your gift cards, one overlapping the other. Trace the outside with a pencil. 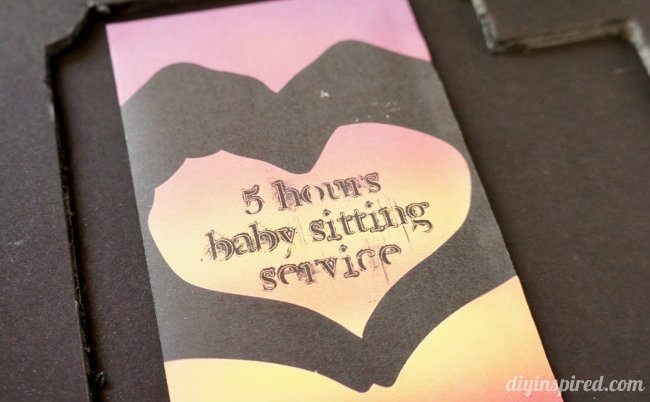 Cut out the outline using a cutting mat, straightedge, and craft knife. Glue the two pieces of foam core together. 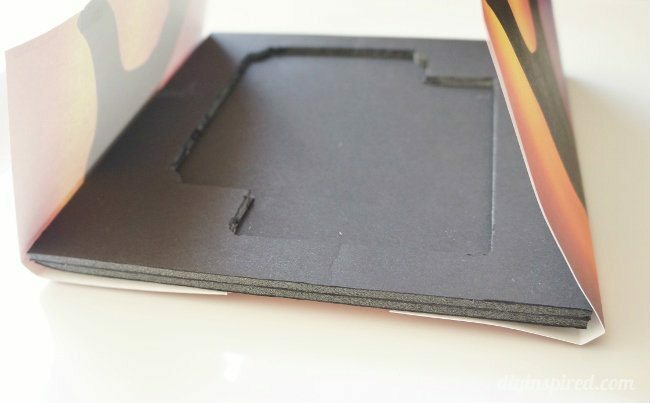 Cut your decorative paper to size. Make it long enough to wrap around and cover the card. You may need to use two pieces. 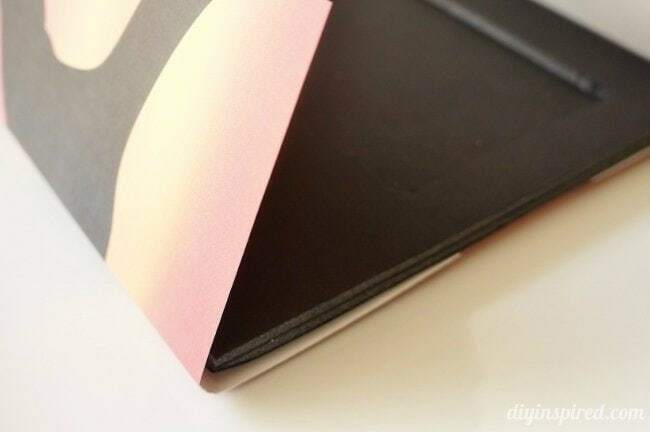 Glue the paper to the bottom of the foam core and fold the paper around. My brother also made a matching envelope with babysitting money inside and placed it behind the gift cards. Insert your gift cards on top. 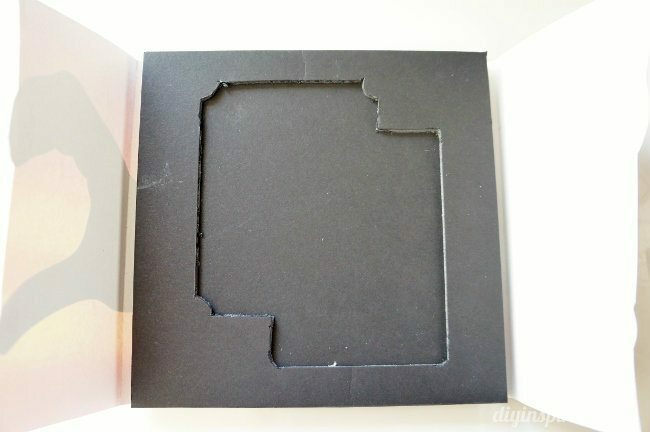 Close the card with a piece of tape on the inside. Isn’t it cute? I absolutely love it. Be sure to stop by my brother’s design site Figure Ground Graphics. On there you will find examples of his work along with some free printables he has designed for DIY Inspired!